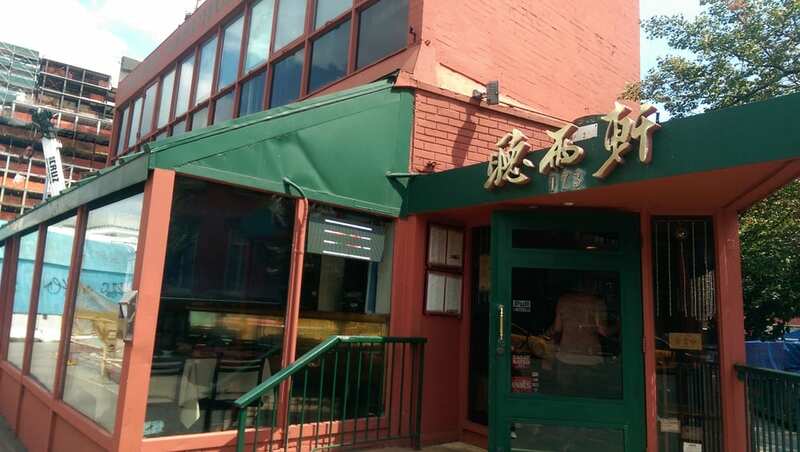 Another down in the Village: Empire Szechuan Village is gone for good on November 1st. Empire Szechuan has been serving the West Village traditional Americanized Chinese and Japanese takeout and eat-in since 1985, about 30 years. The rent increase that drove them out was 500%; from $5,000 a month to $25,000. Although I have to admit, and Oscar King, the now ex-owner agrees, that for the West Village these days, that’s not that terrible commercial rent increase compared to, well, any of the other instances I’ve mentioned in this blog in the past. This isn’t an update where I get upset at the landlord, who according to NYEater’s calculations actually offered the renewal of the lease way under what they could have asked; according to the REBNY (Real Estate Board of New York) report, commercial rent in the West Village averages $481 per square foot. NYEater puts Empire Szechuan at the possibility of $75,000 a month; using $481 as a guide, it would actually be a tad under at $72,150 but the result is the same; for West Village prices, Empire Szechuan was offered a great deal. Oscar King isn’t mad, so I probably shouldn’t be either. However, the permanent closing of another neighborhood fixture points to the ongoing problem of rising New York City rents, especially in the historically unique neighborhoods that are slowly being whittled at by the promise of a “better deal” for landlords. Everyone welcomes a little bit of gentrification; after all, if big businesses are willing to move in and provide employment and an income stream, that generally makes the economy of the place easier on everyone. But in the long run, big businesses need to know that crushing the little guy only makes their real estate less valuable, and landlords need to start taking notice too. For a long time the Village has been lauded for their economic health; I can’t help but think that these closings and landlord buying patterns are starting to take a toll on that health. If you take away the things that make a neighborhood unique, you also take away the things that make a neighborhood valuable. Small businesses are and will always be the biggest drivers of economic growth, the bold and innovative building and creating bolsters the economy in both tangible and intangible ways. And the residents? They treasure their community. No one wants to be on edge about their favorite spots just disappearing one day.